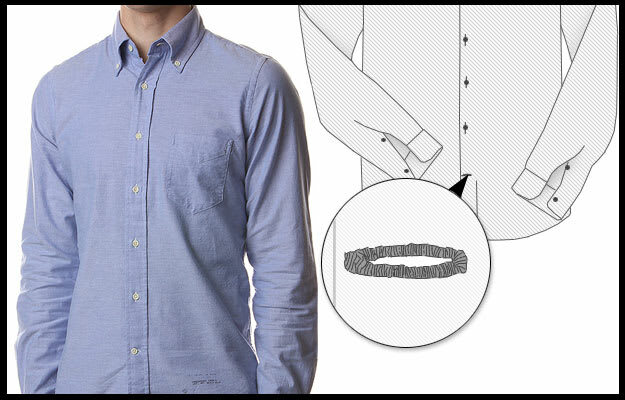 Do You Know What The Sideways Buttonhole On Your Dress Shirt Is For? On Valet Magazine&apos;s "Ask Valet" section, a reader posed a question that we all have wondered at least once: Why are the very top and bottom buttonholes horizontal, and not vertical like the rest of the buttonholes on the shirt? No, it&apos;s not an accident on the manufacturing tip, but actually a practical feature. The holes are sewn horizontally so that the buttons can endure more stress from pulling/movement than the others without stretching out the shirt or the hole itself. That, along with some reinforcements like extra stitching with a thicker thread, makes sure buttons don&apos;t go flying all over the place.